We weren't looking for a way to destroy our AR500 steel targets, but we found out the M855A1 Enhanced Performance Round (EPR) is one way to do it! M855A1 spec ammunition is the US Army’s “environmentally friendly” replacement for the M855 “Green Tip” 5.56x45mm 62gr NATO round. While not very well known outside of military channels, the M855A1 has already been introduced in the field by the US Army as their standard battlefield cartridge for the M16/M4 family of rifles. The M855A1’s turbulent, lawsuit rich development is well documented and makes for interesting reading, but the round’s improved performance against hardened surfaces is unquestionable. 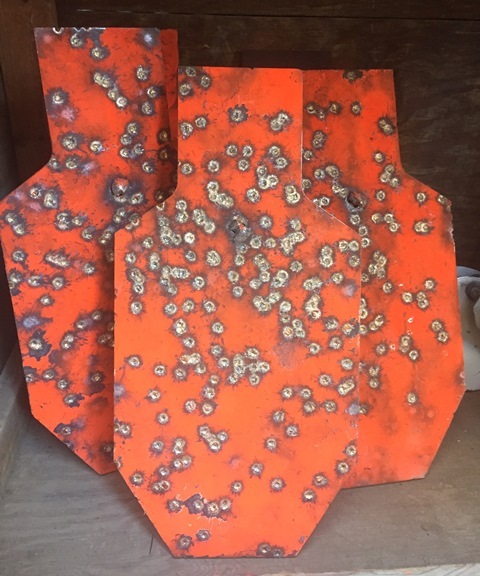 Read on to learn more about the M855A1 and view the demise of our expensive AR500 steel targets as we find out the hard way.